Synopsis: Monday Charles is missing, and only Claudia seems to notice. Claudia and Monday have always been inseparable—more sisters than friends. So when Monday doesn’t turn up for the first day of school, Claudia’s worried. When she doesn’t show for the second day, or second week, Claudia knows that something is wrong. 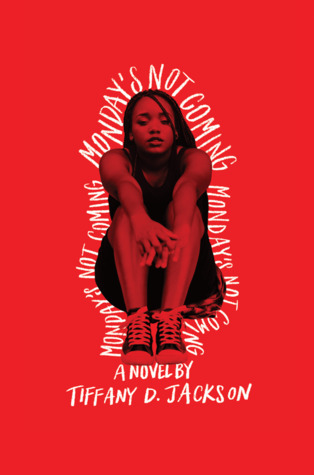 Monday wouldn’t just leave her to endure tests and bullies alone. Not after last year’s rumors and not with her grades on the line. Now Claudia needs her best—and only—friend more than ever. But Monday’s mother refuses to give Claudia a straight answer, and Monday’s sister April is even less help. This is a title that really stood out to me after HarperCollins Canada’s Frenzy Presents event. I started it recently and, currently at about 20%, it’s SOOOO good already. I’m juggling a lot of books at the moment but this is definitely one I always can’t wait to get back to!